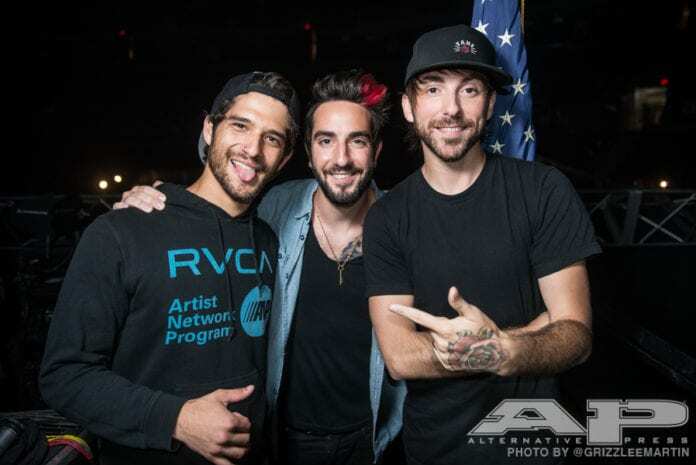 Tyler Posey, Jack Barakat and Alex Gaskarth hanging backstage. 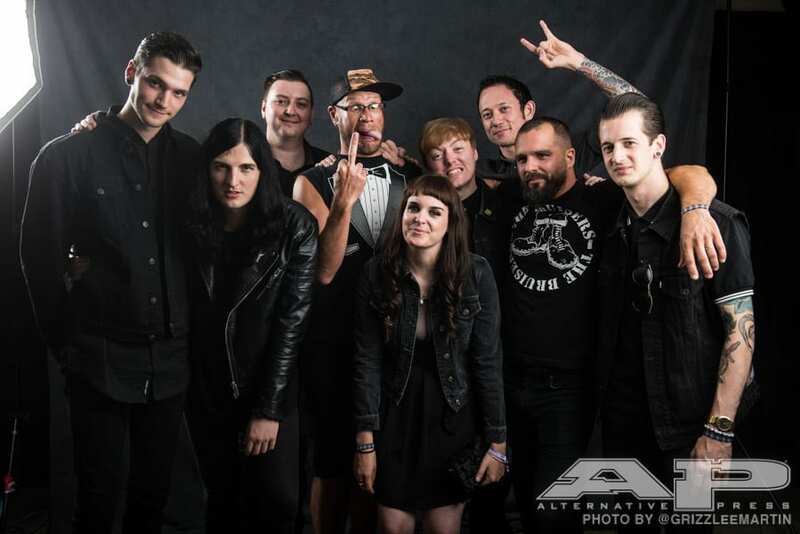 Creeper, Killswitch Engage's Adam D and Trivium's Matt Heafey hanging out backstage in the winners studio. 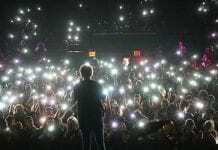 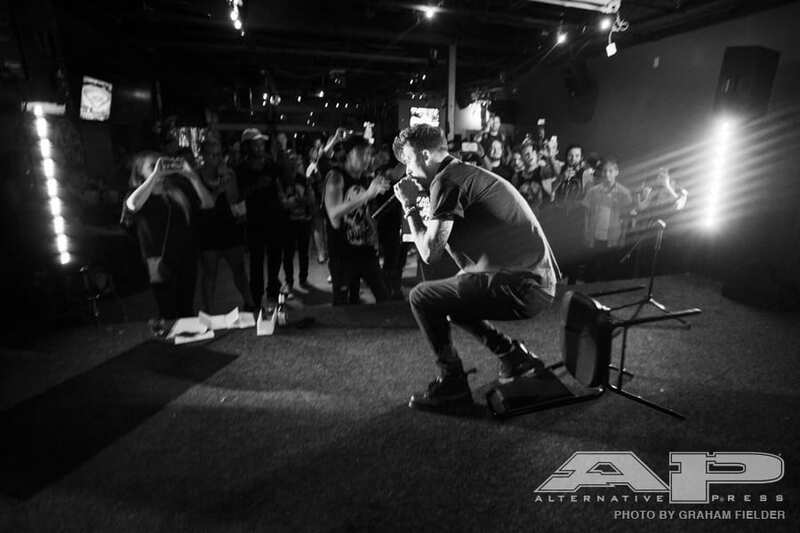 Machine Gun Kelly performs "Break Stuff" during karaoke at the APMAs pre-party. 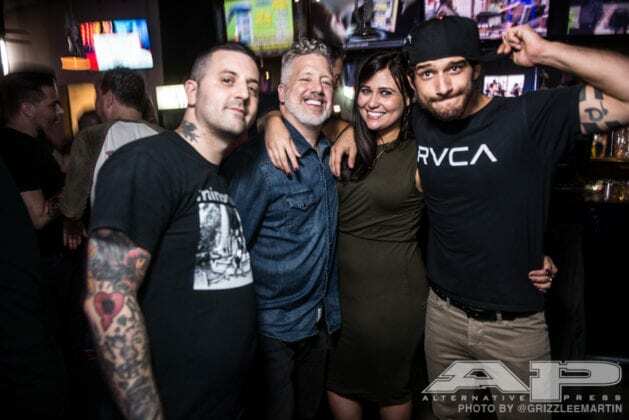 Bayside's Anthony Raneri, AP founder/CEO MIke Shea, Andie Cox of the Grammy Museum and Tyler Posey of 'Teen Wolf' all hang out at the MerchNow pre-party. 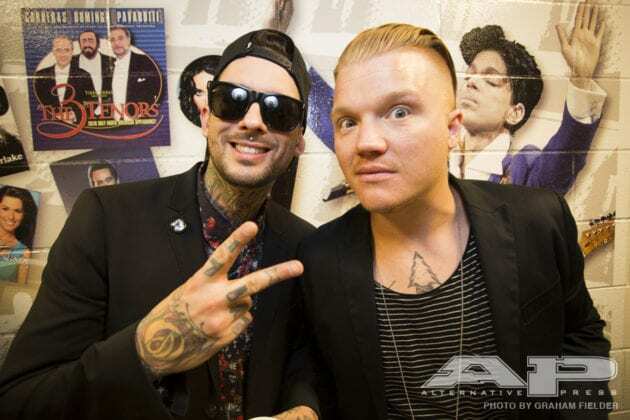 Pierce The Veil's Mike Fuentes and Aaron Gillespie of Underoath strike a pose backstage. 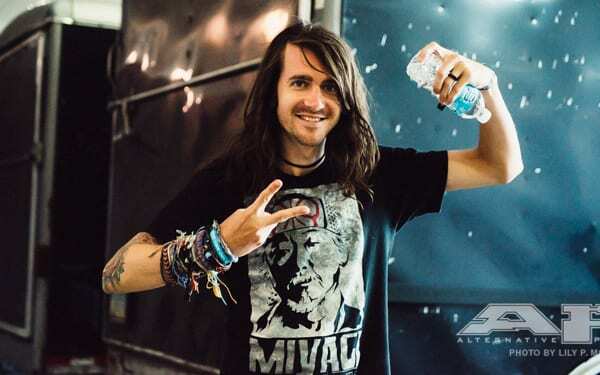 Mayday Parade's Derek Sanders preps before his performance at the 2016 APMAs. 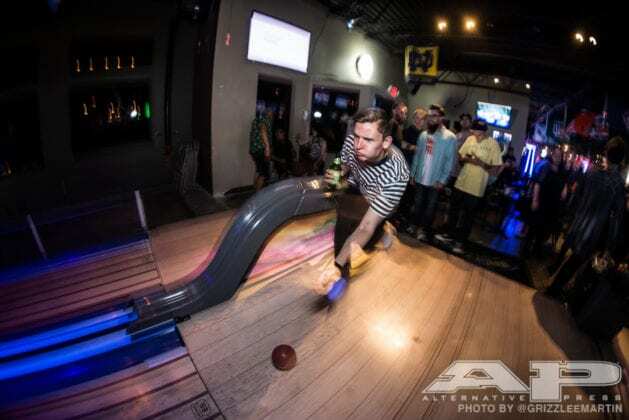 Sam Bowden of Neck Deep gets his bowl on at the APMAs pre-party. 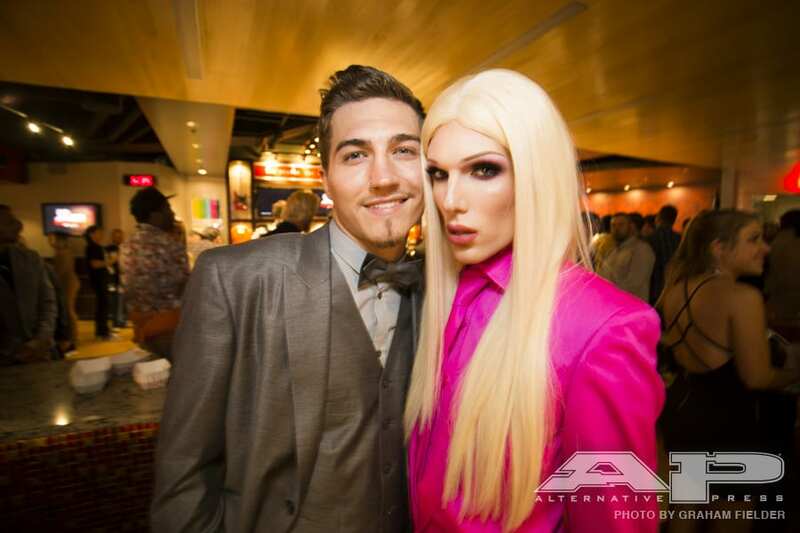 Jeffree Star poses with boyfriend Nathan Schwandt. 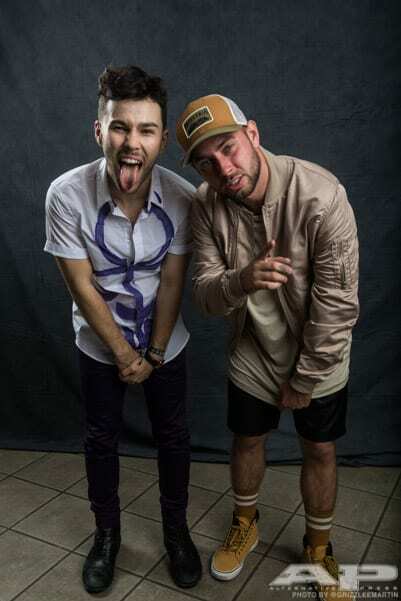 Tyler Carter of Issues and MAX get low in the backstage studio. 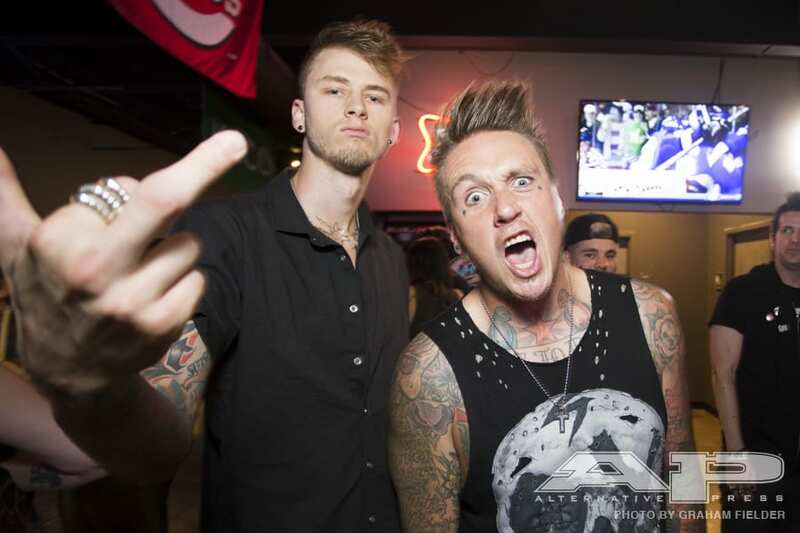 Machine Gun Kelly and Jacoby Shaddix get nasty at the APMAs pre-party. 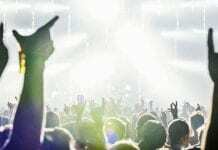 Good Charlotte, Against The Current, Kellin Quinn and Awsten Knight of Waterparks all get crazy in the winners studio. 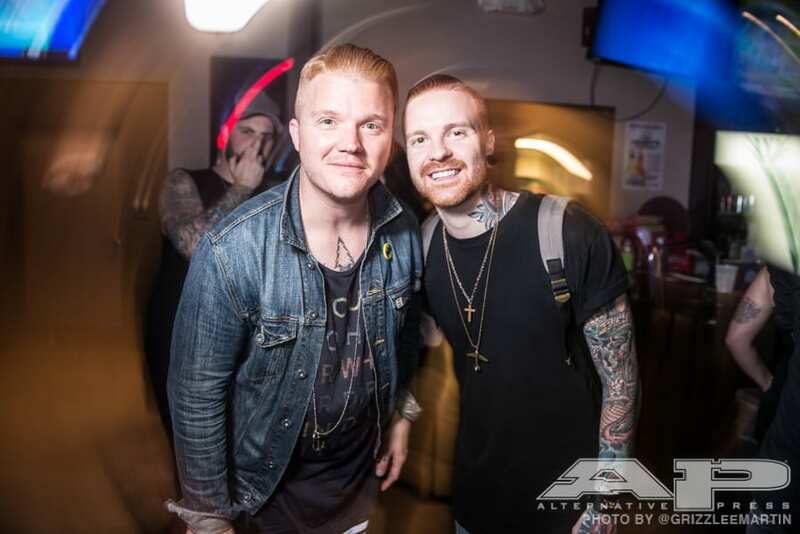 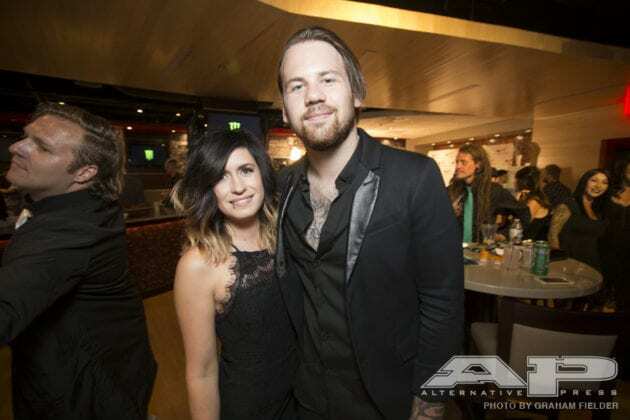 Aaron Gillespie of Underoath and Matty Mullins give the camera some love at the APMAs pre-party. 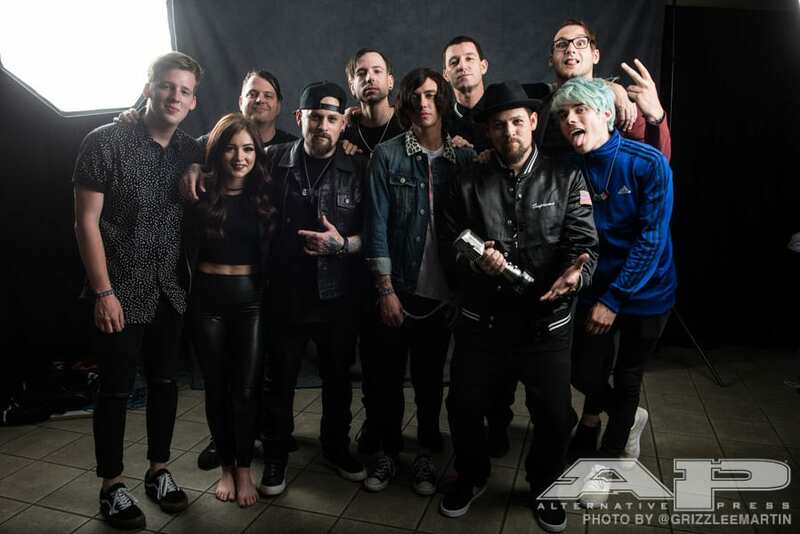 Ash Costello of New Years Day and Jeffree Star get fierce in the APMAs backstage lounge. 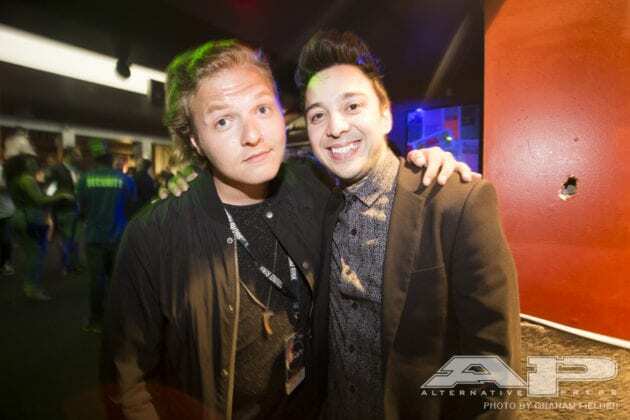 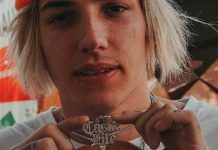 Keaton Pierce of Too Close To Touch hangs out with Pierce The Veil's Tony Perry. 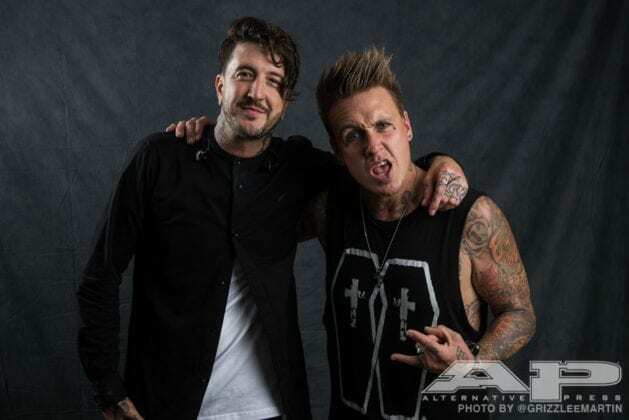 Of Mice & Men's Austin Carlile and Jacoby Shaddix of Papa Roach hang out in the APMAs winners studio. 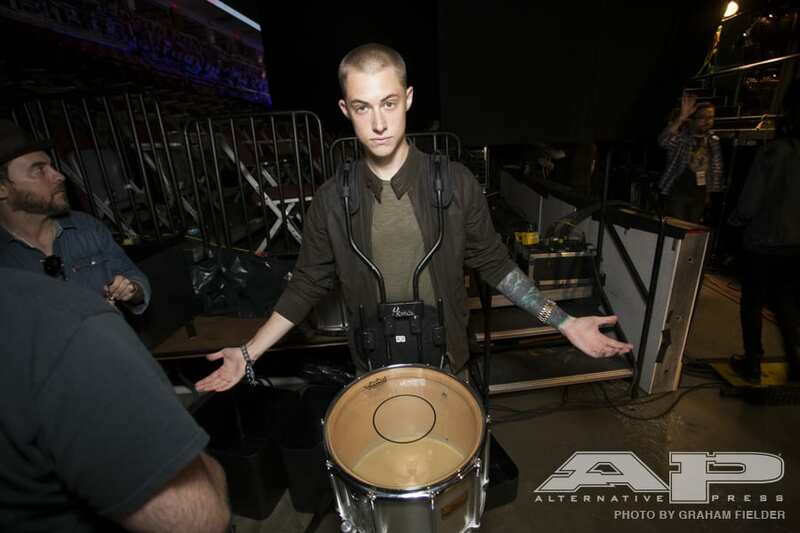 Luke Holland of The Word Alive preps to present Best Drummer. 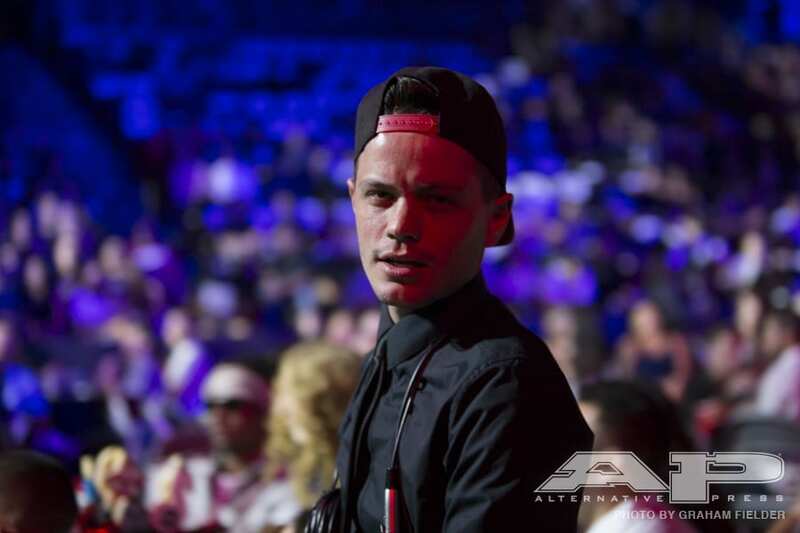 Nick Major gives us his best blue steel. 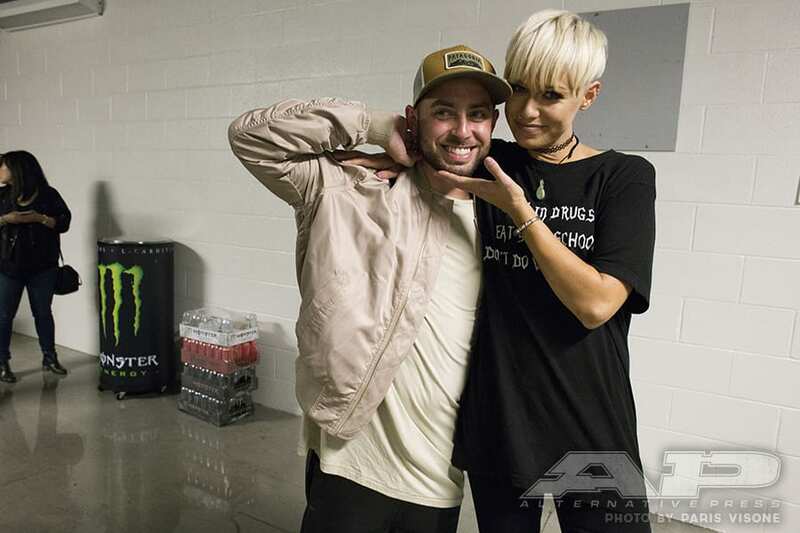 Issues' Tyler Carter and Tonight Alive's Jenna McDougall show off for the camera backstage. 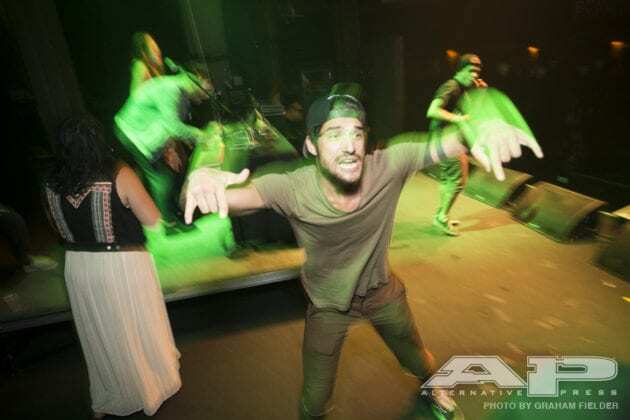 Tyler Posey from MTV's 'Teen Wolf' tears up the dance floor at the official afterparty.